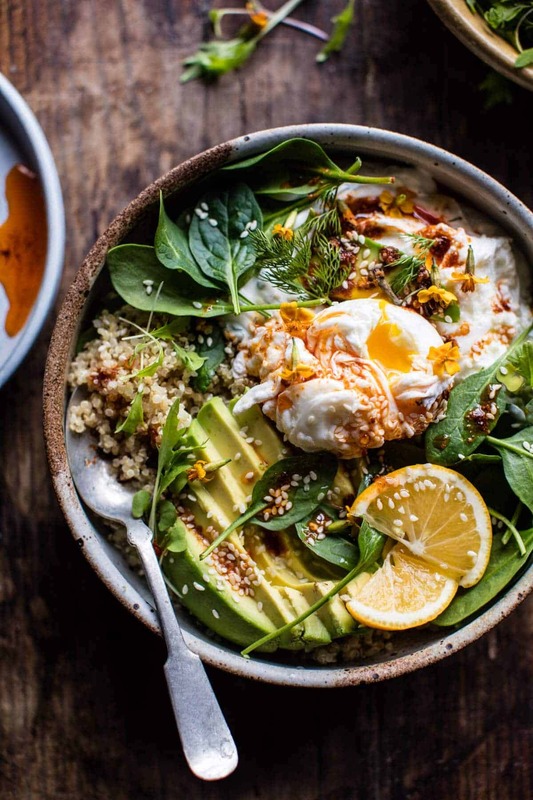 Turkish Egg and Quinoa Breakfast Bowl. 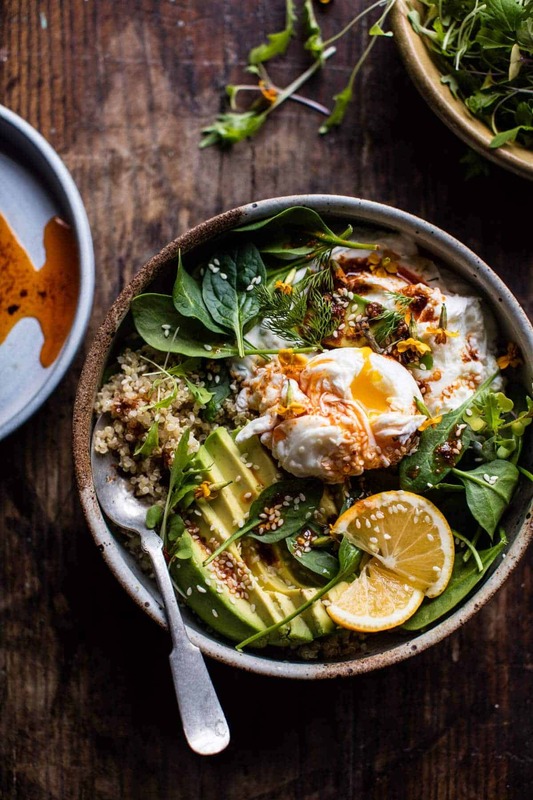 I made us a SAVORY breakfast today: a Turkish egg and quinoa breakfast bowl. I pretty much always post sweet breakfast recipes. I think it’s no secret that those are my very favorite. I love to photograph stacks of pancakes with butter melting across the top, french toast with maple syrup drizzling down the sides, and crepes stuffed to the brim with fruit. That being said, I also love a good eggy breakfast…only I almost always make them for lunch or dinner instead of breakfast. I dunno why, but I guess I’m just more of a ‘sweet’ breakfast person…unless there’s avocado toast involved, in which case I will eat at any time. Obviously. Anyway, point is that I feel like I do not have enough egg based breakfast recipes on the blog and I’ve decided that needs to change. Thankfully I have my friends at Bob’s Red Mill to help me create the perfect healthy and savory breakfast. I’m using their quinoa as a base for these killer bowls. PS. I eat a bowl of avocado with flaky sea salt and Bob’s Organic Quinoa almost every day of the week. It’s been my favorite snack since the start of the new year (hello Healthy January) and I am now hooked. I’ll also sometimes add a handful of toasted seeds, mmm, so good, and now that I think about it, kind of similar to this bowl…cool. cool. 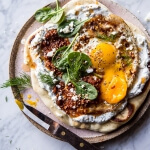 These loaded breakfast bowls were one hundred percent inspired by these Turkish Fried Eggs from a little over a year ago. 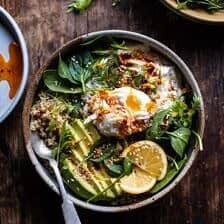 I love those eggs so much, so when the idea of a savory quinoa breakfast bowl came to mind, I knew I wanted to go with these Turkish flavors. …start off with your quinoa. There’s no denying that aside from maybe steamed rice, quinoa is my favorite grain. well, technically it’s a seed, but to me it feels more like a grain. Anyway, I love it. …next up is the herbed yogurt. Oh this yogurt. It’s full of garlic, dill and parsley, and it’s highly addictive. …a little sun-dried tomato pesto. mainly because I am obsessed, but also because tomatoes are common in Turkish cooking. …now you just need your eggs. I like to poach mine for this, but I think a fried egg would be equally delish as well. Totally whatever you love most. …OK. now you’ll want to basically bathe your eggs in the secret, but really not so secret, sauce. 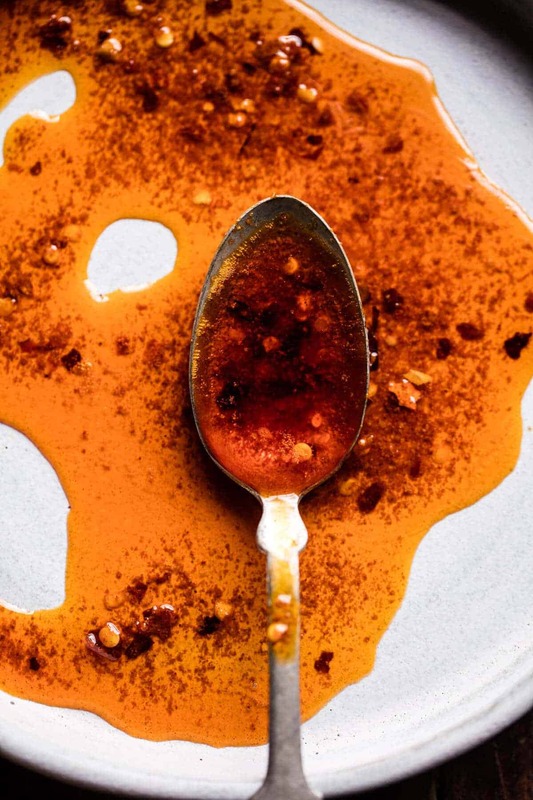 aka the spicy toasted sesame butter sauce. Not going to lie, this sauce is everything and should probably be slathered on. just sayin. …finish with avocado, fresh spinach, toasted sesame seeds, and maybe some goat cheese, if you’re into it, which you know that I am. So many layers of awesomeness right? What I really love about this recipe though is that you can pretty much prepare everything in advance and then assemble in the morning. The quinoa, yogurt, and sauce can be made a few days in advance and kept in the fridge. In the morning, all you have to do is cook your eggs and assemble. If you’re looking for a super quick version, you could even use hard-boiled eggs that you maybe cooked up on a Sunday. Then its breakfast done in about five or ten minutes. And if you’re like me, and dig the whole breakfast for dinner thing, it’s dinner in under thirty! Whoop, whoop! 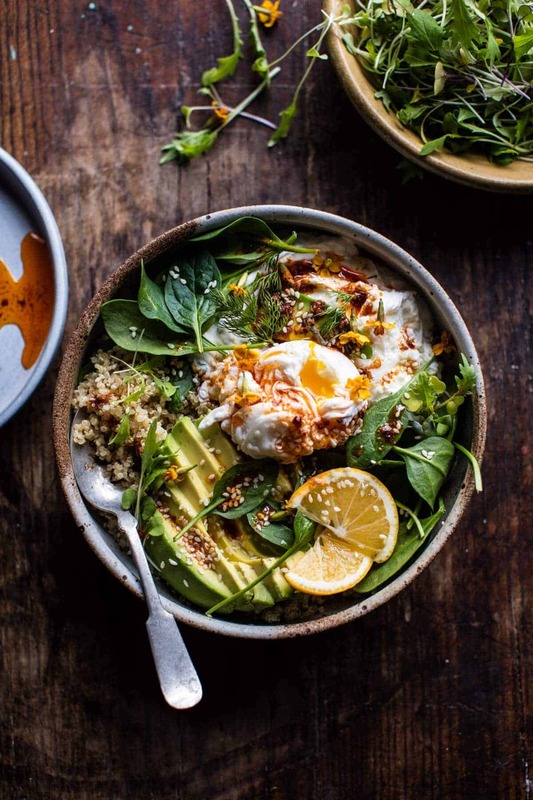 Turkish Poached Egg and Quinoa Breakfast Bowl. 1. In a medium bowl, mix together the greek yogurt, dill, parsley, garlic, and a pinch each of salt and pepper. Stir until combined. Keep stored in the fridge until ready to use. 2. Cook the eggs to your liking. 3. Divide the quinoa among bowls and add a large spoonful of the yogurt sauce, then swirl the pesto lightly into the yogurt. Next, add 1-2 eggs per bowl. Add the spinach and avocado. Drizzle the spicy butter sauce (recipe below) over the eggs. 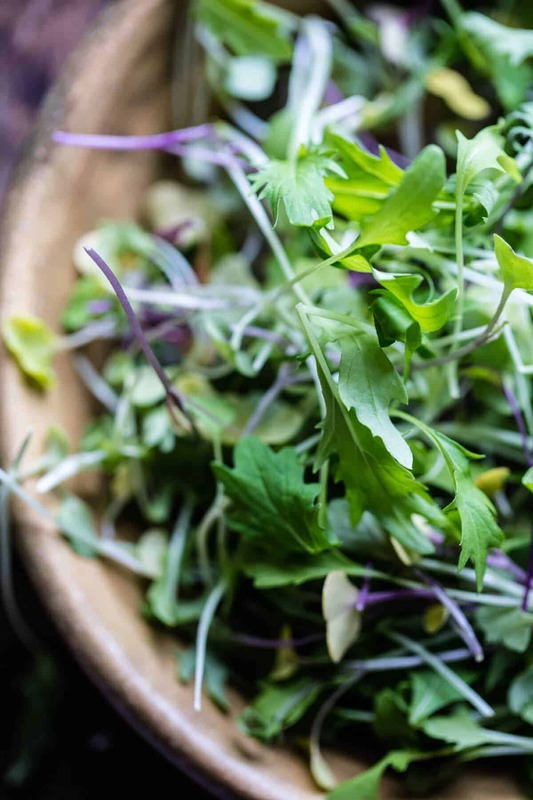 Garnish with fresh herbs, lemon zest, sesame seeds and crumbled goat cheese. EAT! In a small saucepan, melt together the butter, sesame oil, crushed red pepper flakes and paprika. Drizzle the warm sauce over the fried eggs. But first, breakfast…cause it’s the most important meal of the day! Turkish Fried Eggs in Herbed Yogurt. Hi Tieghan, I’m the same way. Where is avocado or egg involve! I can eat at any time of the day. 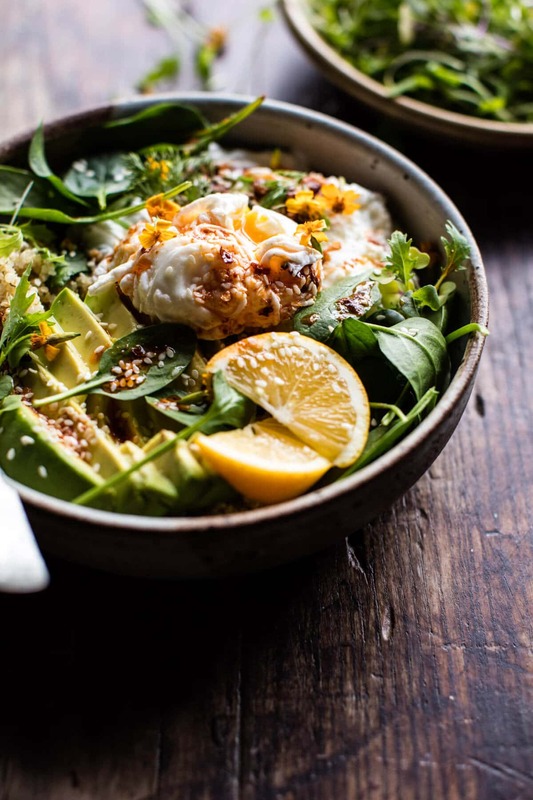 Healthy, beautiful and delicious eggy breakfast! Thanks Carlos! I’m all about it! Can’t get enough avocado of course! I love sweet breakfasts and savoury egg dinners too. 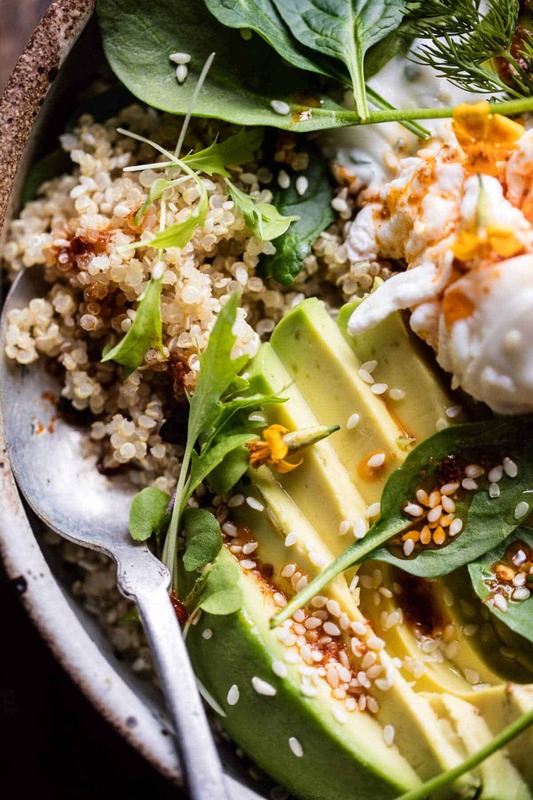 This bowl combo looks delicious, can’t wait to try that herbed yogurt! Thanks so much Christine I hope you love it! You may share with proper links and credit. please do not repost the recipe. Thank you! I looove bowl foods. There’s something about having all the ingredients in one bowl with either a sauce or dressing that’s just soo good. I haven’t tried Turkish anything before, and this quinoa bowl sounds so amazing. I can’t wait to give it a try! You know what? I totally agree! I swear its better in a bowl! Turkish flavors are amazing so I hope you will love this one! Absolutely stunning! This is my kind of bowl!! What a wonderful dish, Tieghan! I really want to give it a try:) Looks so delicious! Yes! A vegan version would be amazing, I hope you’ll share it with me! Hope you get to try it, thanks Sara! Quoin for breakfast.. great idea! Thanks for the recipe. So happy you like it Kevin, thank you! Ah yay!! So happy you like it, cause i’m loving them! 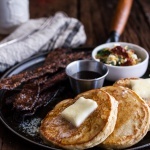 Breakfast with leftovers? I think so! Haha, thank you Matt! That would be perfect too! Hope you love it Caroline! Theres always an almost before that sentence! haha, thanks Amanda! What a fabulous breakfast bowl Tieghan! 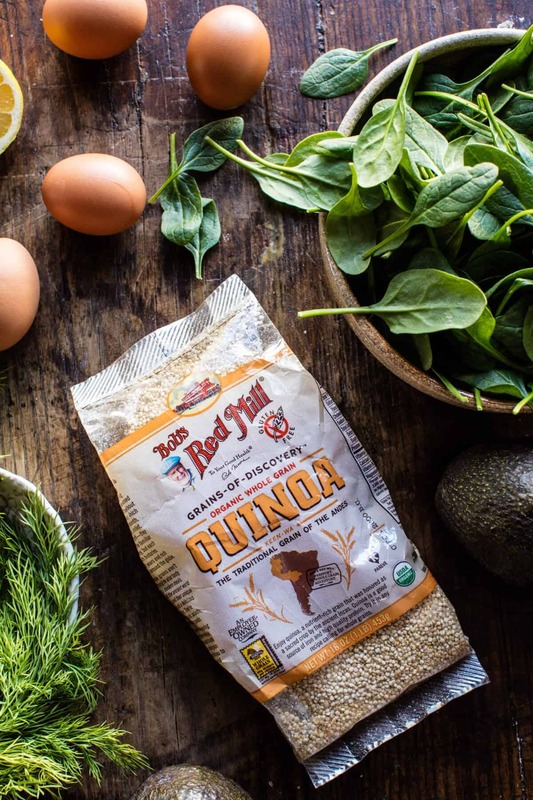 Love Bob’s quinoa! Oh my god thank you!! 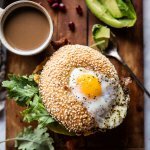 I am so much more a savory breakfast person and have noticed when I’m looking for brunch ideas you tend toward more sweet 😉 keep em coming! So happy I made one your into Laura! Thanks so much! I made this and it was so wonderful. Best breakfast I’ve had in awhile! Felt like it was super complicated and fancy, but was so easy! Yay so happy to hear that!! Thanks Abbey! Made this for dinner last night and loved it! Filling and yummy, Thanks girl for keeping my meals interesting! So happy you liked it Kimber! Thanks! What a seriously GORGEOUS way to start the day! Nothing beats a perfectly done poached egg. I LOVE savory bfasts and Bob’s Red Mill – so what I’m saying, is that this is bfast perfection! What!! Sounds so so fun! SO jealous. WOW!! How perfect! Smoked salmon 😍 So good!! Hi, this recipe looks fantastic. The butter sauce ingredients says sesame oil but the instructions say coconut oil. I assume either one works? Either one will work, but sesame oil is best! 🙂 Hope you love this! Made this for breakfast this weekend and it was DELICIOUS. It’s one of my new favorite meals. Thanks for the recipe! Yay! So happy you liked it Justine! This looks amazing! Any recommendations on where to find / how to make sundried tomato pesto? I just wanted to find out if I could substitute the fresh spinach with maybe some rocket leaves? I think rocket leaves will be great! Let me know if you have questions. Hope you love this! Had this for dinner last night, and it was so good I’m still thinking about it today. I’m not a goat cheese fan, so I substituted feta. 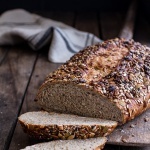 So good – thank you for the recipe! Feta is delish too!! So happy you liked it April! Hey Kristin! Honestly, any of these would be delicious! I would use jasmine rice or farro! 🙂 Hope you love this! Made this today for breakfast and it was incredible! Made this for lunch today – DELICIOUS as always! Such a great combo of flavors. AMAZING! I’ve made this soups a bunch of times now & I luv it! This time I was brave & added the mango! YUM! Do it! add the mango!I absolutely luv all of your recipes. Halfbaked harvest is my GO TO for easy, unique, delicious recipes! Thanks for sharing. Thank you so much Jamie! I am so glad you loved this! I could eat this every single day. YUM! Thank you for the great recipes! I am now committed to making all of your best-of-2018s!